This bomber is a wardrobe essential for all seasons. 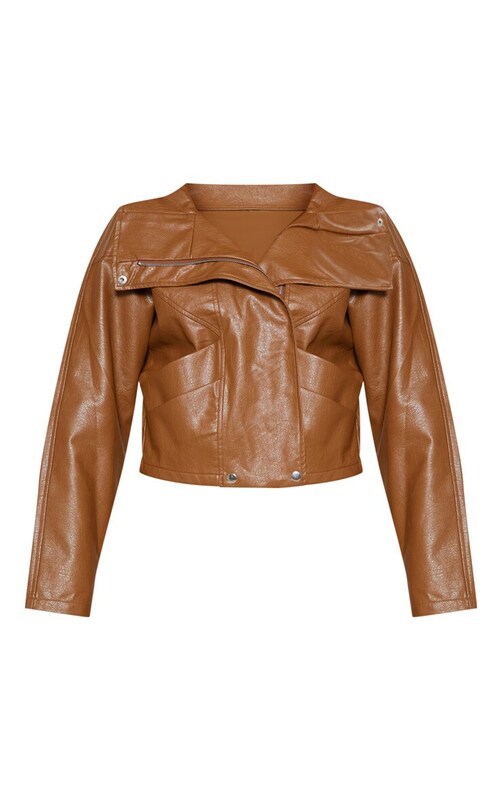 Featuring a brown PU fabric with a flat collar, zip detail and oversized bomber jacket fit, we are obsessed. We love this teamed with joggers and sock boots.